Granite is as you would imagine a very hard surface that looks beautiful when polished; in this case however it the floor had been abused by workmen who had been working at this commercial premises in the market town of Fareham and trailed all sorts of building materials and dirt onto the floor during renovation work. The once beautiful Granite floor tiles were now looking in a sorry state and the site manager was keen to have them restored to their former glory. 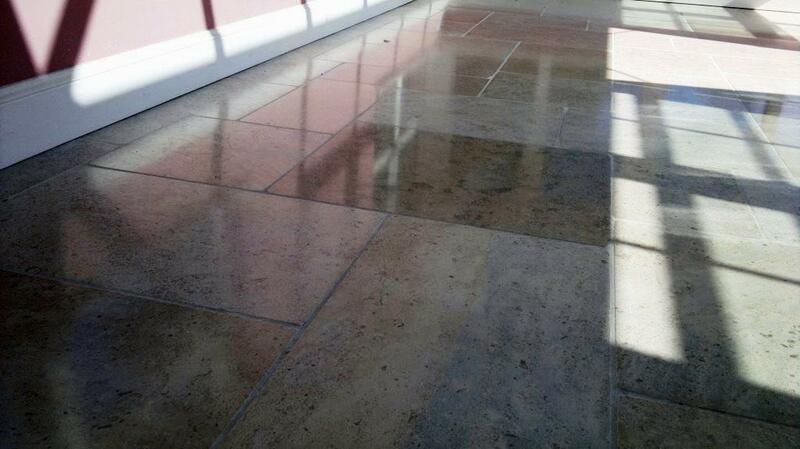 The floor a quick sweep and wash down with a dilution of Tile Doctor Pro-Clean partly to ensure any surface grit etc. was removed but also so we could get a stiff grout brush in along the grout lines and give them a clean. Next the floor was rinsed down with water which was removed with a wet vacuum. The next step was to burnish the Granite with a set of four diamond encrusted burnishing pads which come in different grits and are applied in sequence working from coarse which removes old sealers and dirt through to medium, fine and super fine pads which build up the polish on the floor. The floor needs a rinse with water in-between each pad to remove any slurry and water is extracted from the floor using the wet vacuum, after the super fine pad we removed as much water from the floor as possible and left it to dry overnight ready for sealing the next day. Being a commercial floor I was concerned about the foot traffic wearing down the polish on the tiles so Tile Doctor Shine Powder was sprinkled onto the Granite and ground in using a little water to help lubricate the process and another pad at slow speed. 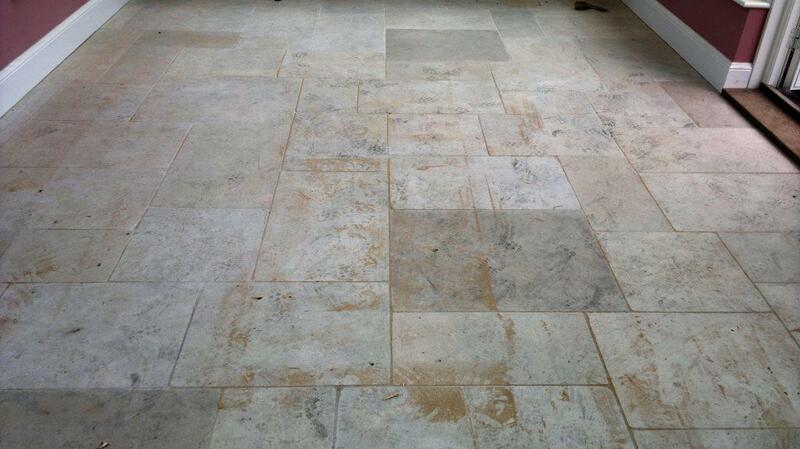 Once this was complete the floor was buffed using a white buffing pad and now it looks transformed.